Ready… Set…GOOOO! 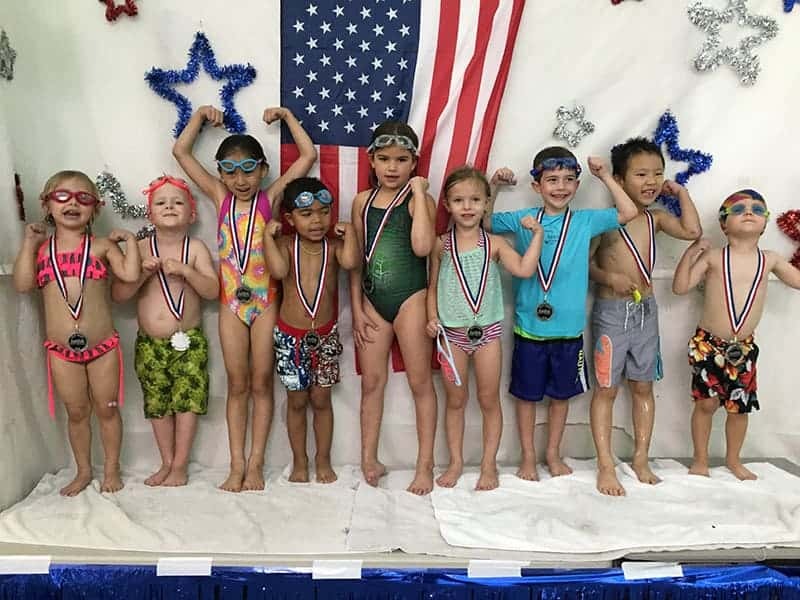 Our Mini Meet is for AquaGliders up to AquaPros it is designed to give swimmers a boost of confidence and a taste of fun competition swimming the width of the pool. Swimmers are paired up with an instructor to give assistance to those who need a little help and to be a cheerleader! All swimmers are introduced by our announcer, participate in three events, and are given a medal on our podium! And the best part, friends and family are invited onto the pool deck to see all the action! All proceeds of this event are donated to Phoenix Children’s Hospital’s water safety campaign.